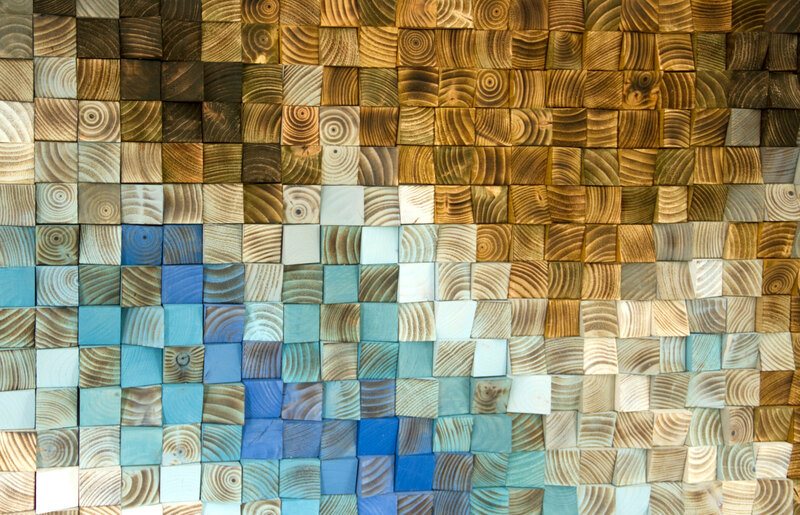 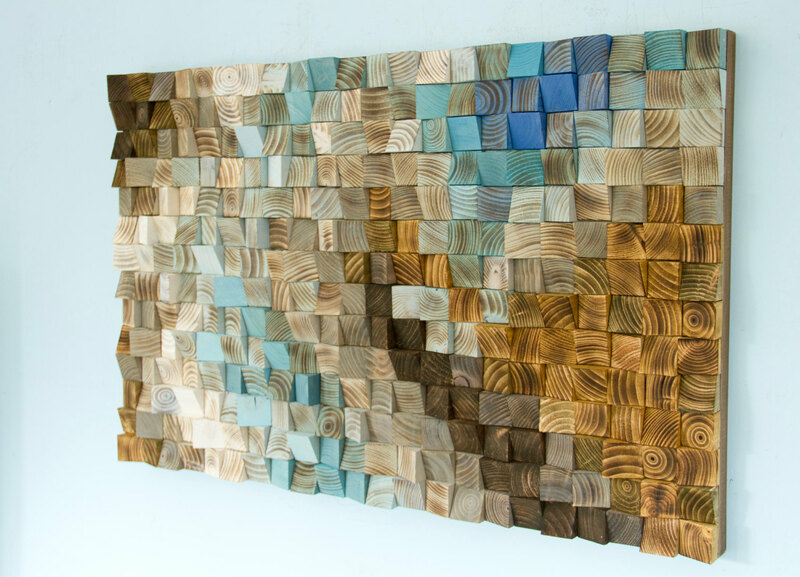 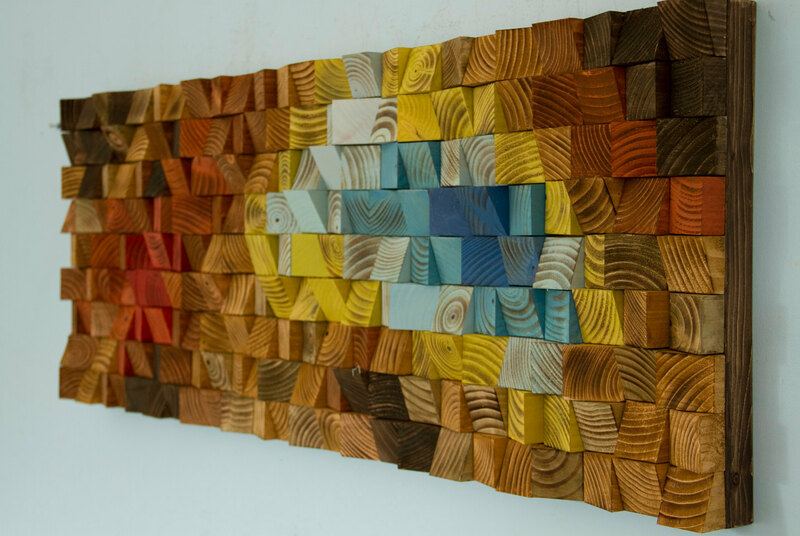 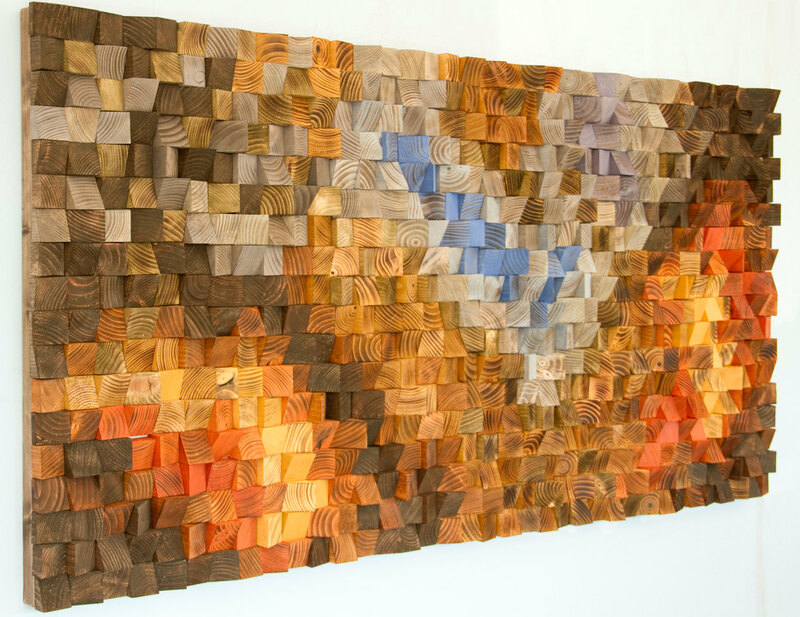 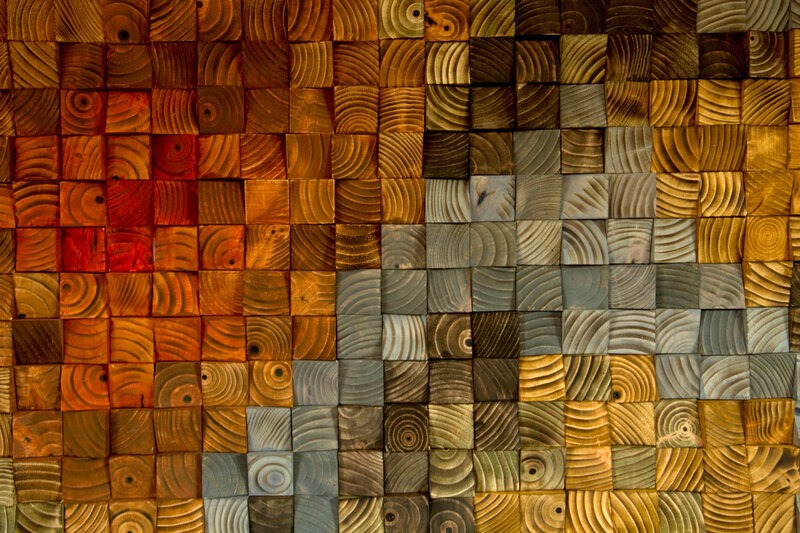 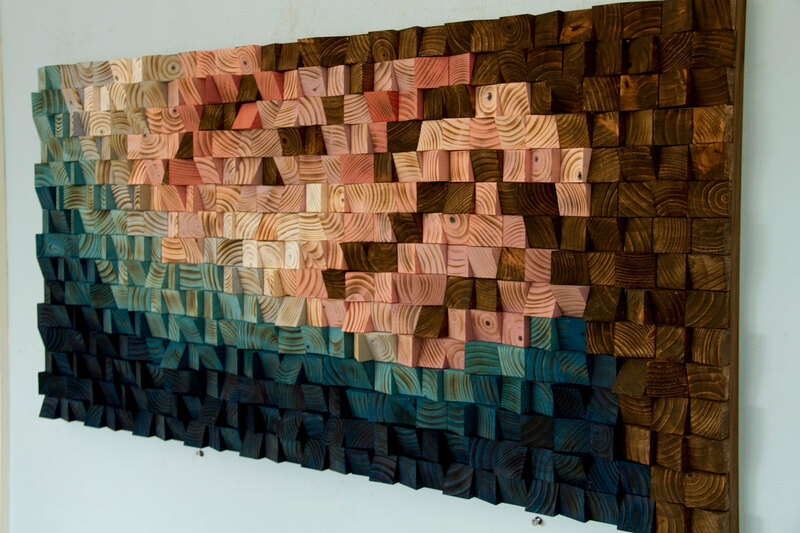 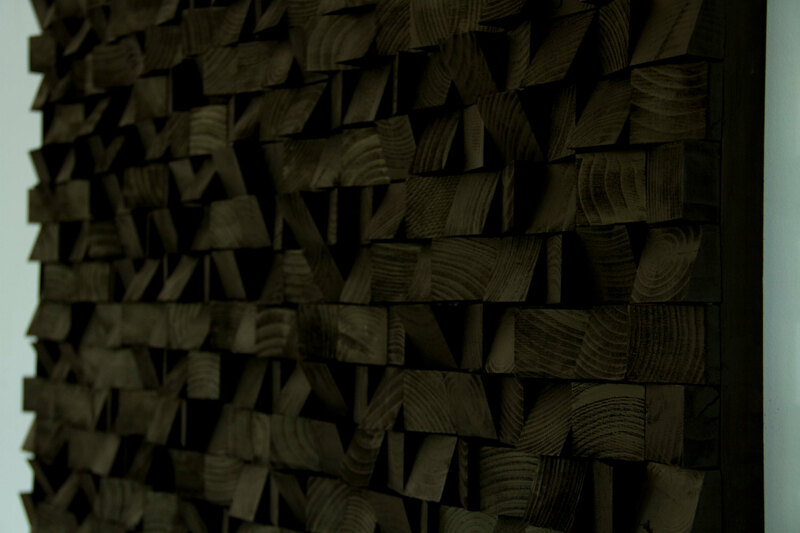 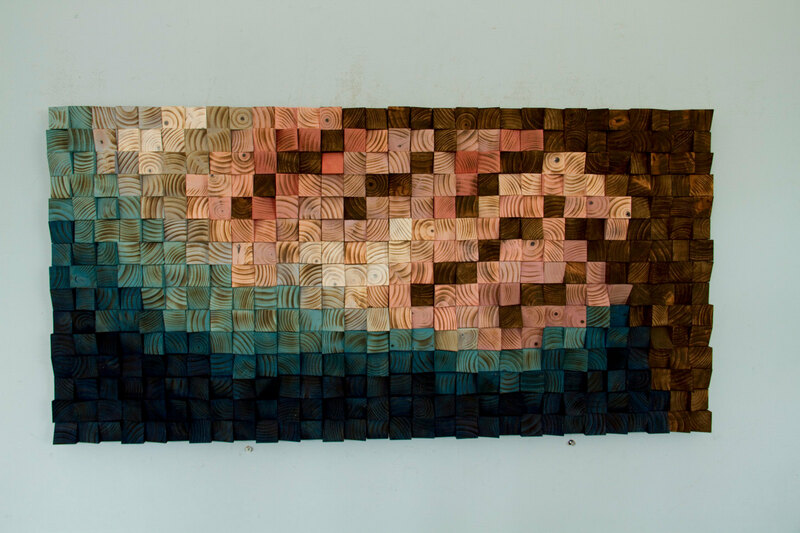 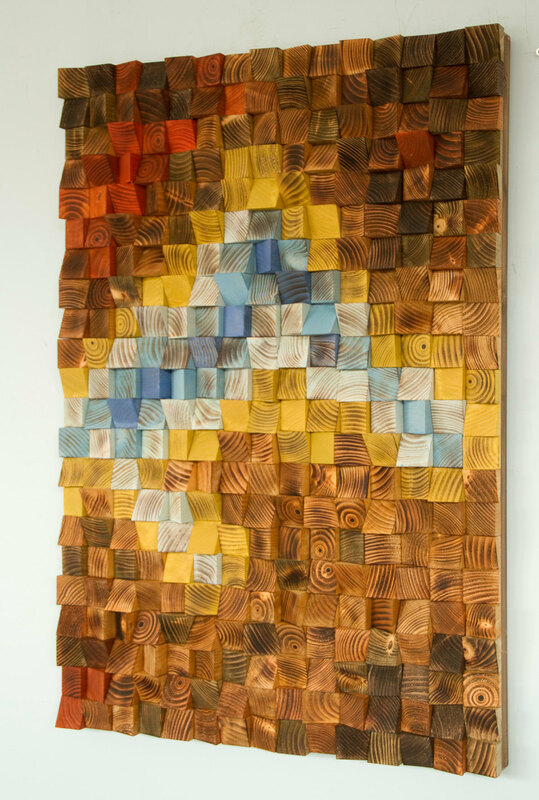 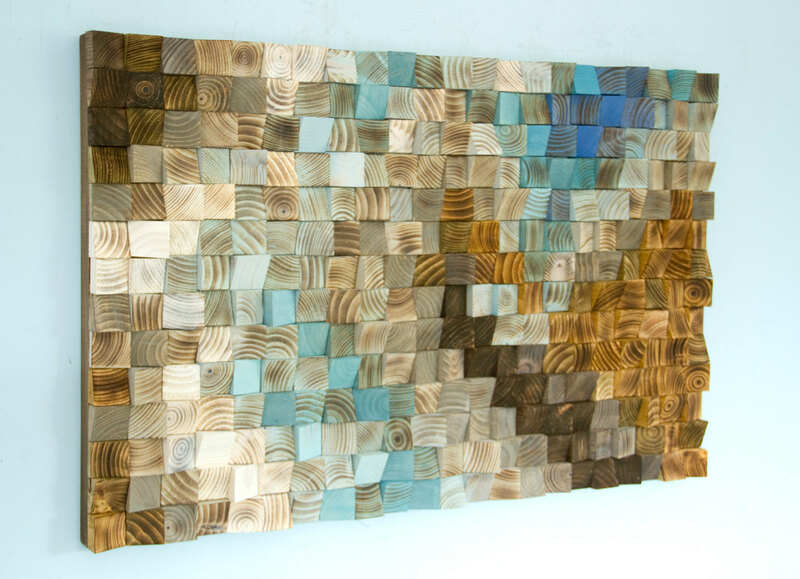 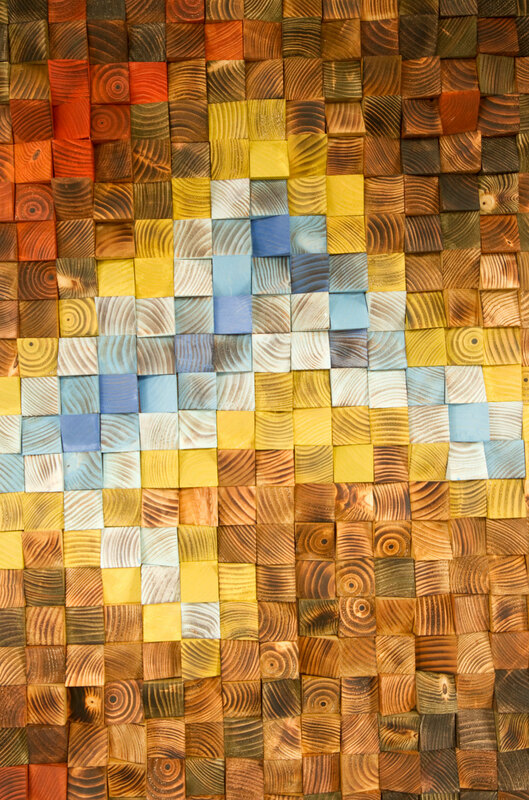 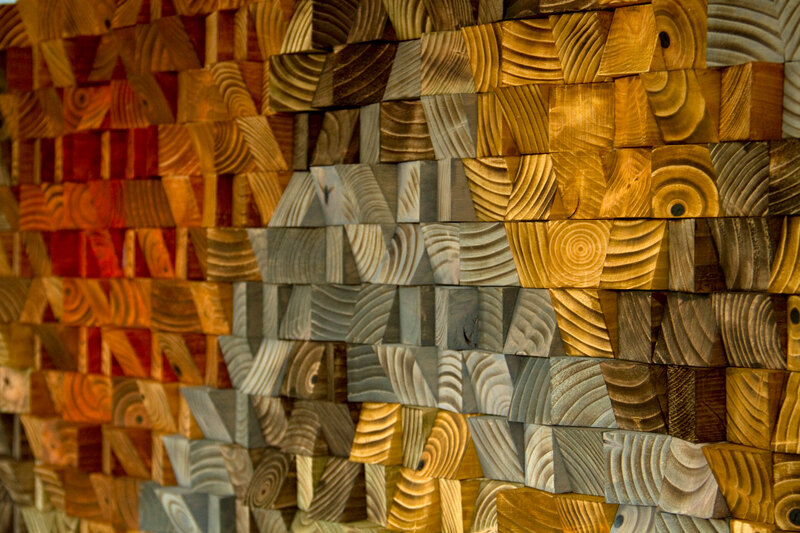 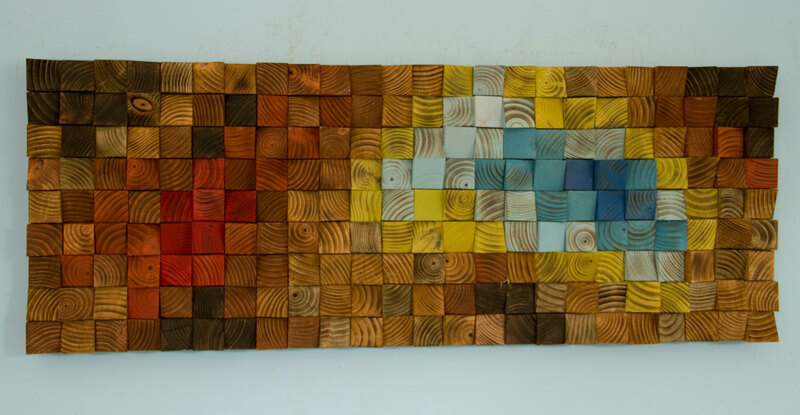 Wooden Art sculpture from recycled wood pieces. 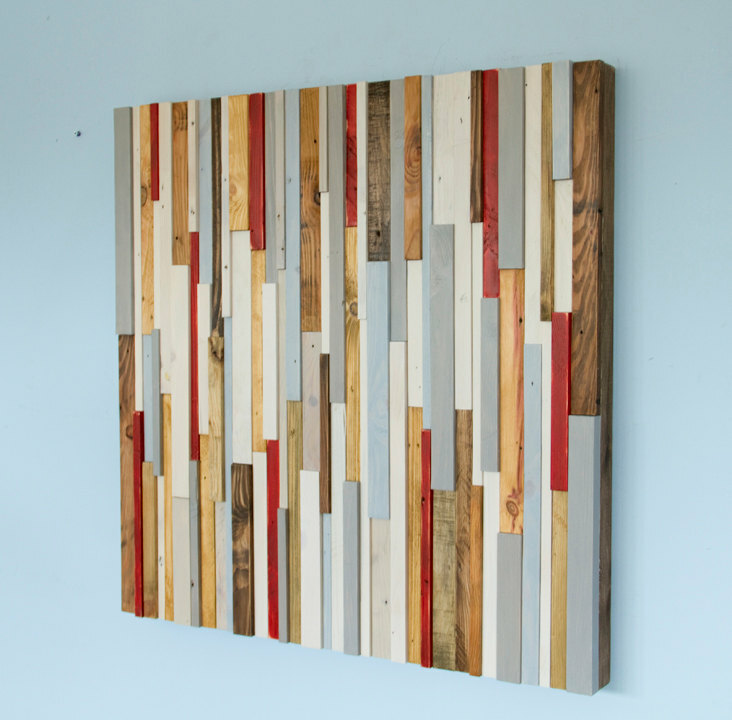 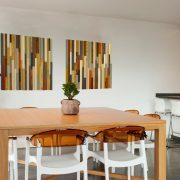 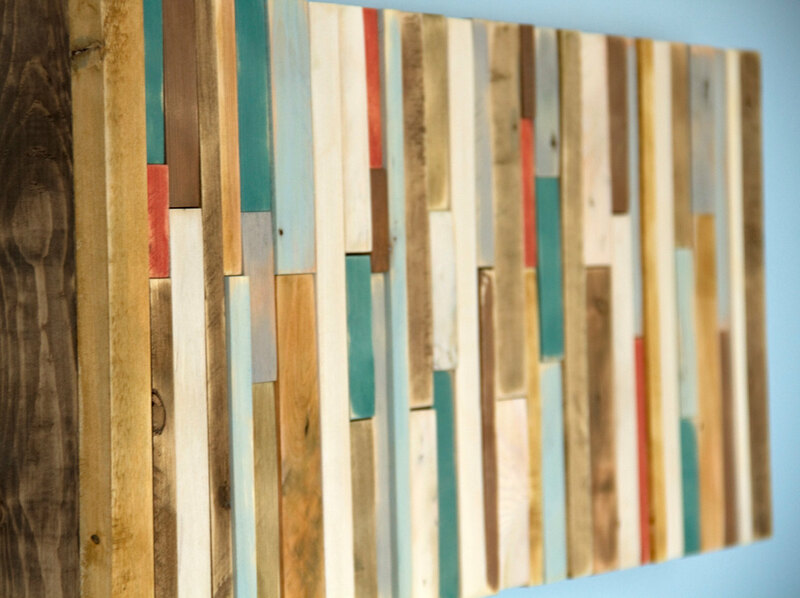 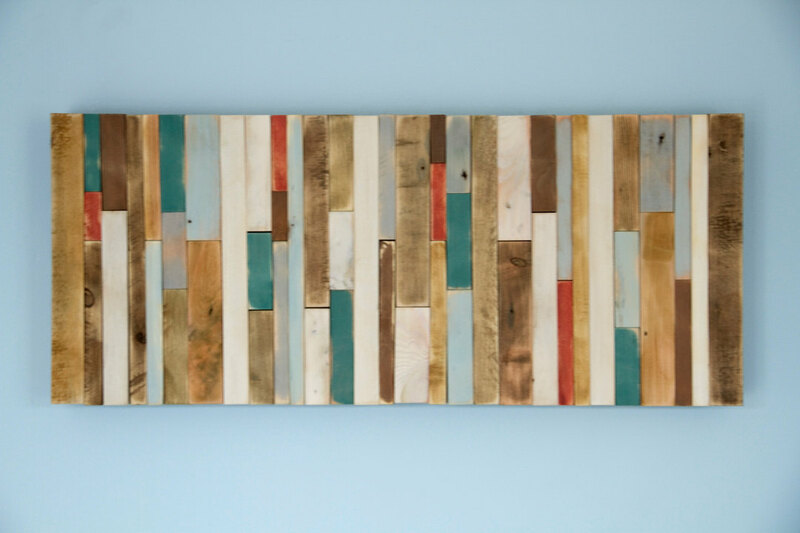 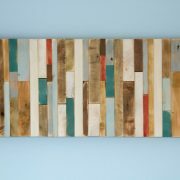 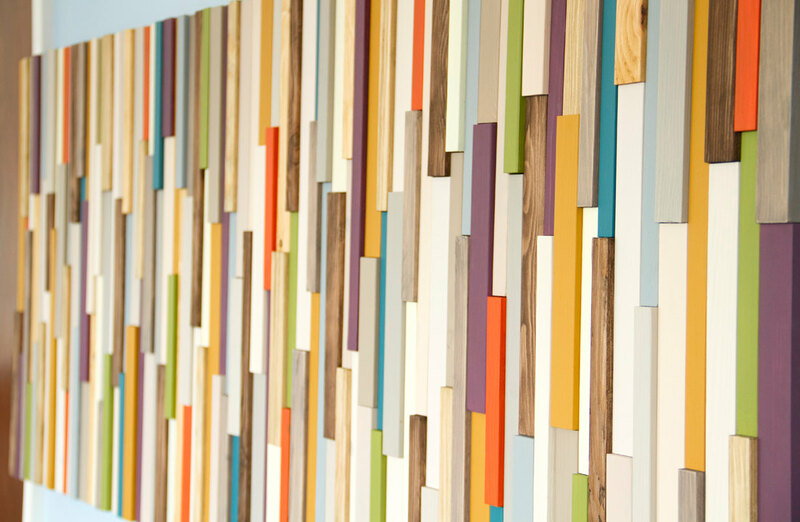 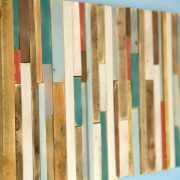 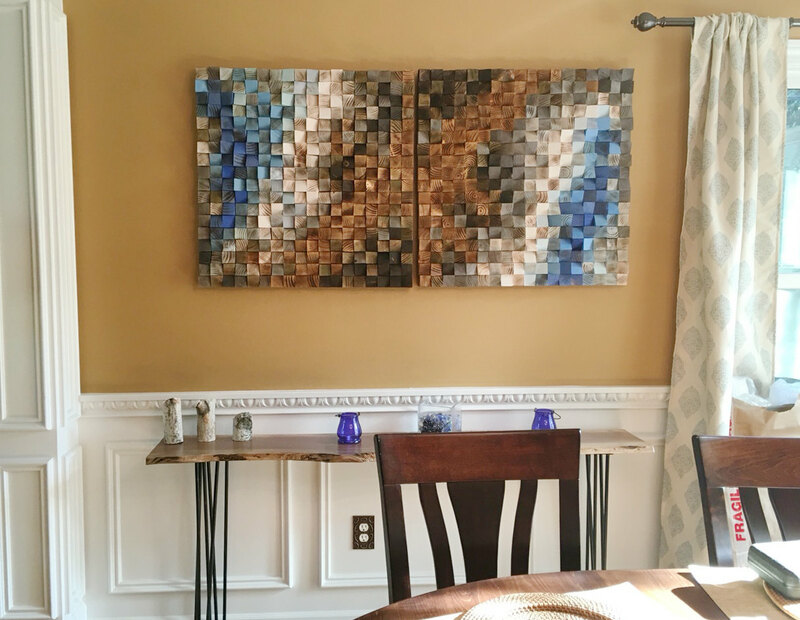 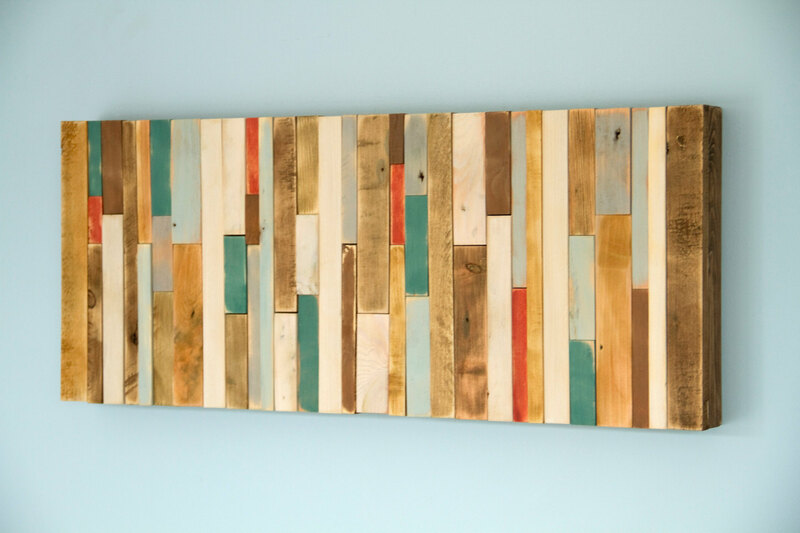 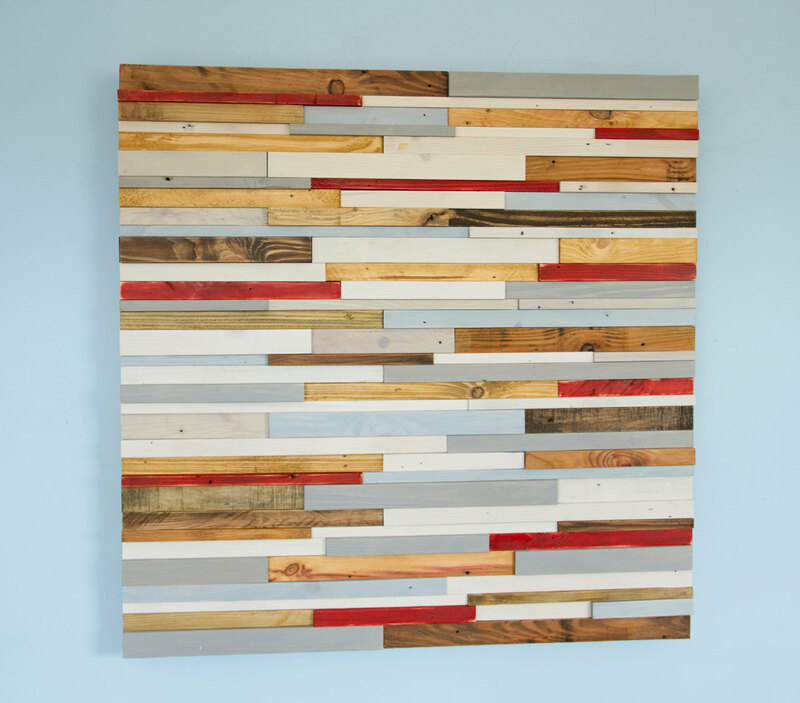 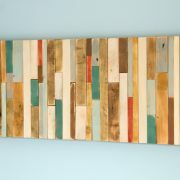 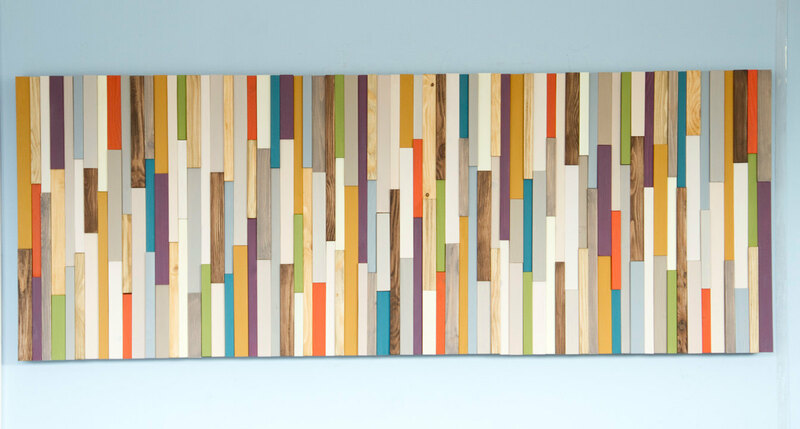 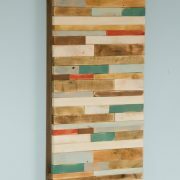 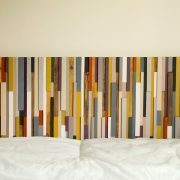 Each wood piece is sanded, hand painted to receive this rustic, old worn look. 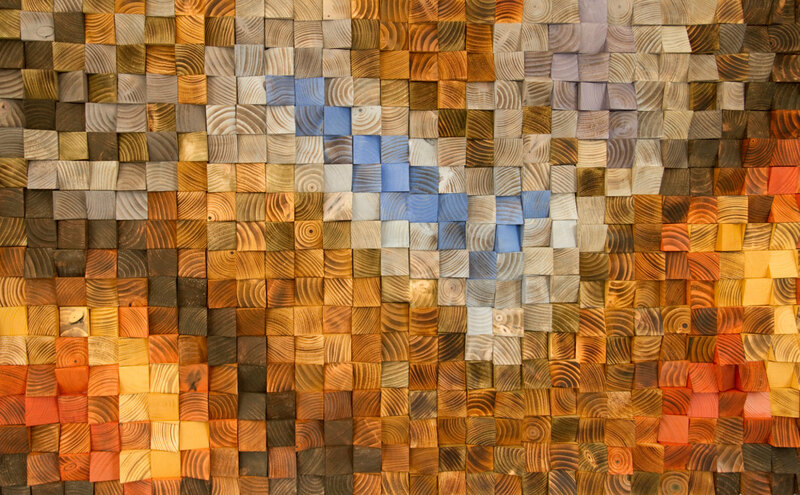 Natural holes after nails has been kept and are giving the sculpture industrial look. 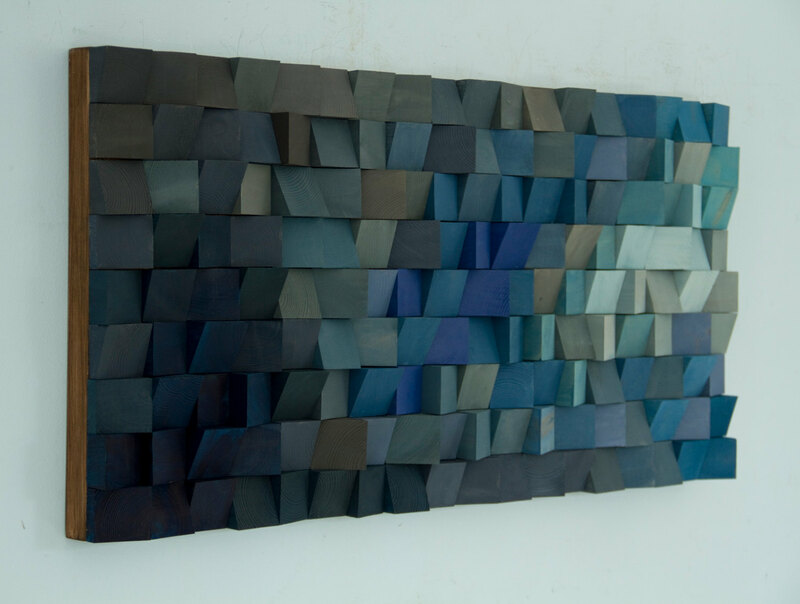 Sculpture is smooth to touch and wax is given to protect the colours. 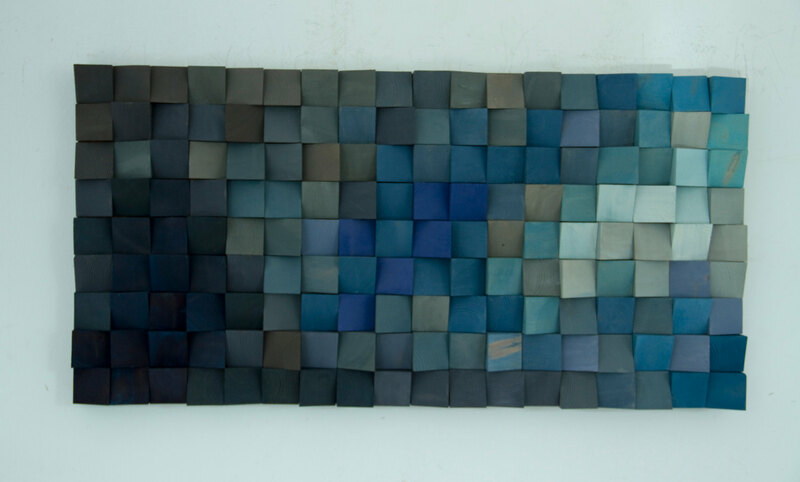 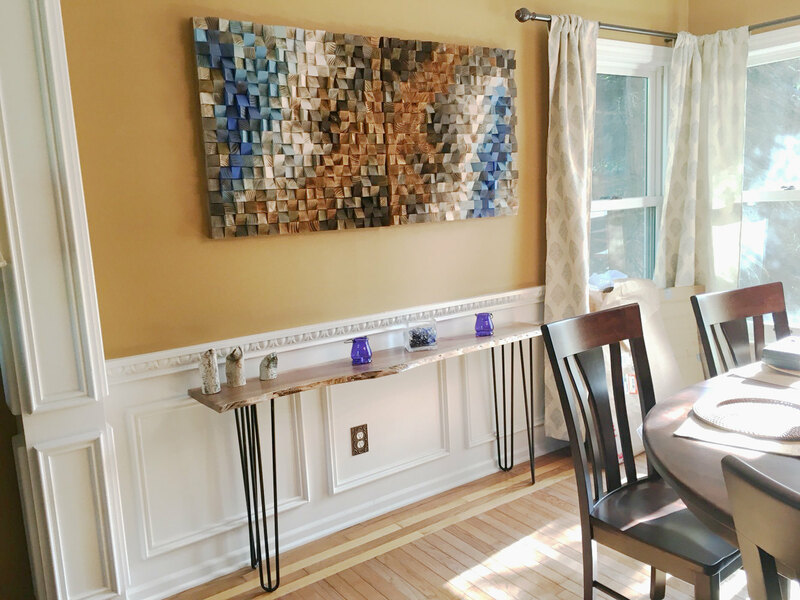 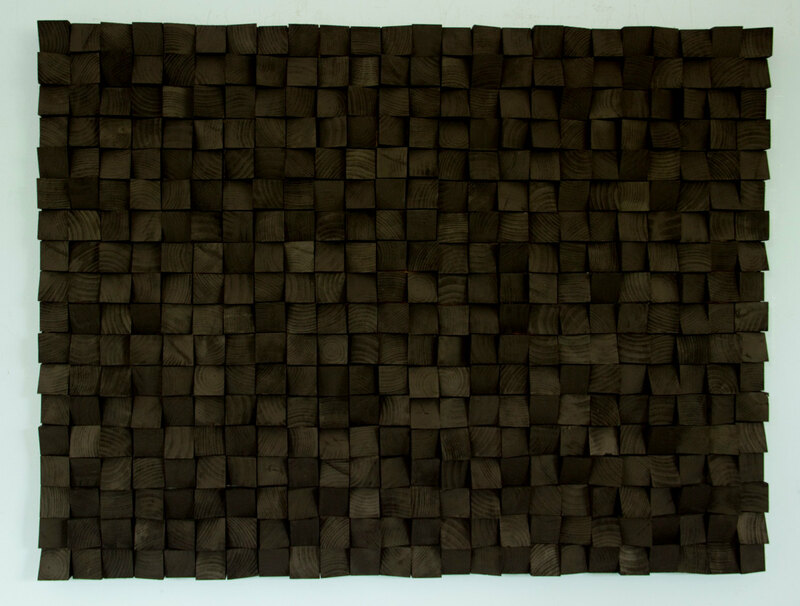 Sculpture can be hang horizontally or vertically. 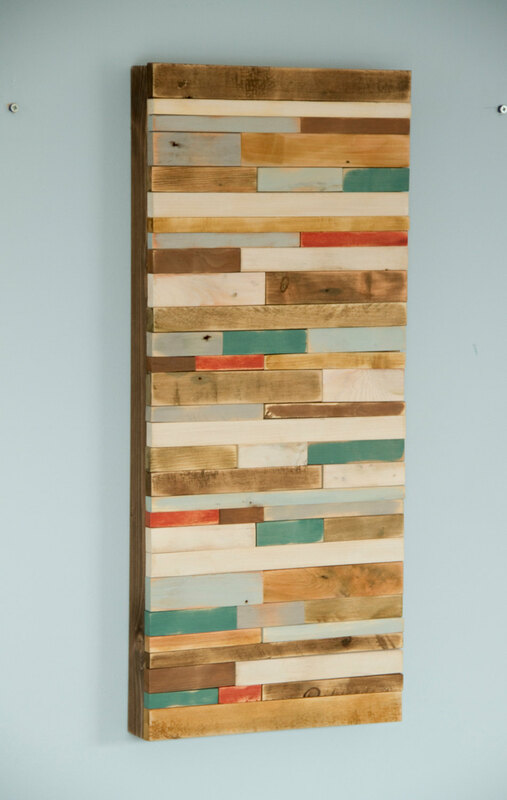 Frame: frame-less, supporting frame is added to the back of the sculpture to add nice depth to it and is made from, the same old worn our up-cycled wood.